Our interviewee has used his software development and ethical hacking skills in various capacities. Prior to joining the Komodo team, Kadan Stadelmann co-founded SatoshiHack in December of 2011 with a focus on organizing blockchain-related hackathons and recruiting. He later sold SatoshiHack and moved on to other work. Stadelmann led the IT security department of a Tunisian government corporation between April 2013 and April 2014. In the following two years, he held a similar position at several IT-related security projects for the Austrian government. Our interviewee first defined Komodo as “an open, multi-chain platform that offers blockchain technology solutions to meet virtually any use case.” He went on to introduce Cryptoslate to the Komodo blockchain starter kit, the platform’s primary service. The CTO further explained that the service includes “a customizable, independent blockchain with its own decentralized network.” This means users are able to create their own blockchains with preferred features. Related: Is Delayed Proof of Work the Answer to 51% Attacks? Stadelmann added that Komodo’s delayed proof-of-work (dPoW) consensus mechanism guarantees “Bitcoin-level” security. Komodo uses the Bitcoin network to secure its blockchain by having its nodes back up records of the Komodo blockchain on the Bitcoin blockchain (the blockchain network with the highest hashrate). The dPoW consensus mechanism makes 51 percent attacks on blockchain networks as unlikely as it will be on the blockchain it follows; This makes an attack on the Komodo blockchain as unlikely as one on the Bitcoin blockchain. According to Stadelmann, the Komodo Software Development Kit (SDK) provides developers with multi-coin wallets, a decentralized crowdfunding app, an open atomic swap decentralized exchange (DEX), and a block explorer. He described the Komodo platform with its features as an “orbit” for third-party projects. As a result of the direct exchange involved in trades done using atomic swaps, Stadelmann considers such trades more secure than those executed on centralized cryptocurrency exchanges. According to the software developer, atomic swaps are “safe and trustless.” he attributes this to the fact that it is technically impossible for even bad actors to scam another party in an atomic swap. Stadelmann used the Komodo atomic swap framework to explain how atomic swaps will impact crypto exchanges and wallets. He mentioned how atomic swaps bring about more liquidity for all exchanges. Since atomic swaps allow cross-chain exchanges, a lack of liquidity on a particular exchange or blockchain can be offset by liquidity on other chains. The entire cryptocurrency market benefits from increased liquidity since atomic swaps are not limited to a single exchange. For instance, as more traders use the Komodo Atomic DEX buyers have access to more sellers and vice versa. Wallet developers also benefit from Komodo’s open atomic swap framework by integrating their API for free. According to Stadelmann, wallet developers can adopt Komodo’s atomic swap technology to enable their users to make atomic swaps directly from their wallets. Stadelmann emphasized the security of atomic swaps. The risk of losing funds is reduced since users maintain control over their private keys when executing atomic swaps. Stadelmann admitted that he could not predict the exact level of adoption blockchain technology will achieve in the next five to ten years. He did, however, opine that the entire technology sector will adopt core elements of blockchain technology. For instance, the software developer anticipates the use of trustless technology in critical systems and infrastructure from the finance, nuclear, medical and aviation industries. In Stadelmann’s opinion, blockchain projects with real-world use cases have been on the rise following a change of approach from short-term goals to long-term technology goals. Stadelmann revealed that about 99 percent of all digital assets in existence can be supported by the Komodo DEX. Each integrated asset can have a direct trading pair with all other integrated assets. In line with the open standards effort of the Komodo DEX, there are no listing fees involved with integrating cryptocurrencies or tokens. Additionally, transaction fees on the DEX are as low as 0.15 percent per transaction. It is important to note that only one party in a swap pays transaction fees. Cryptoslate was also informed about the Komodo mobile DEX application, which is currently in private alpha testing stage. The mobile application is said to have full features and functionalities of the DEX. 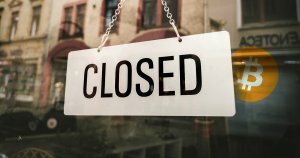 A number of cryptocurrency businesses have had to close down or downsize in the current market due to financial constraints. This is purportedly not the case with Komodo, as they recently made two new additions to both their development and marketing teams. According to Stadelmann, the Komodo team has been operating efficiently. The team has been more focused on software development rather than marketing, allowing them to remain lean. As a result, the CTO expects his team to continue operating for the next five to ten years without any financial problems. The post Interview with Komodo’s CTO, How Atomic Swaps Will Change How Cryptocurrency is Traded appeared first on CryptoSlate.